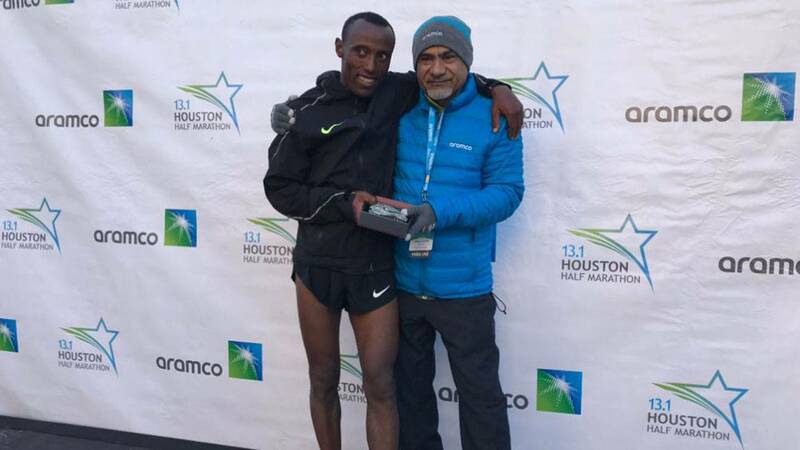 An Ethiopian man is this year's winner of the Aramco Houston Half Marathon. Shura Kitata, 22, is the first person and man to cross the finish line in 1 hour and 4 seconds. "I was sure that I would be winning this race," Kitata said. Houston's Chevron Marathon and the Aramco Half Marathon got underway Sunday morning and at least 20,000 runners participated. Some came from other countries, and from all over the United States. Serious athletes traveled from 59 countries for a medal. While some ran for time, others had more personal reasons. "Maddie is my daughter. She had a double, a life-saving liver and kindness transplant so we run to spread organ donation awareness," said Houstonian mother Jessica Smith. "I always think it’s good to challenge yourself and have that goal and you can’t lose sight of you just ran 13 or 26 miles. 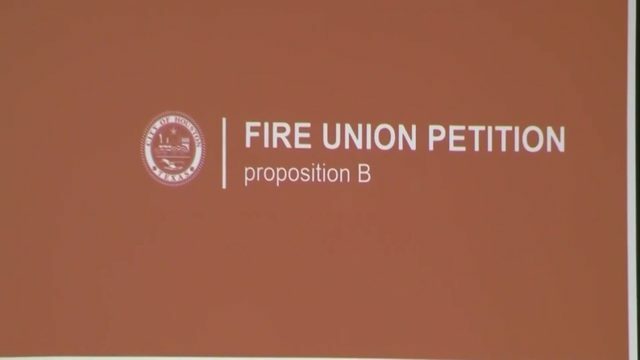 That’s a big deal in of itself," said runner Katy Liebel. The route began in downtown Houston and wound through Memorial Park and the Galleria area. Even though it was cold, some runners still participated in shorts. Others layered as the temperatures plummeted Saturday night. 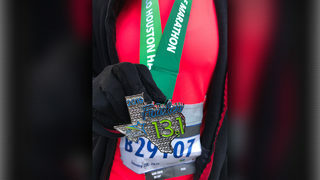 KPRC2's Haley Hernandez and Eric Braate took part in this year's marathon.